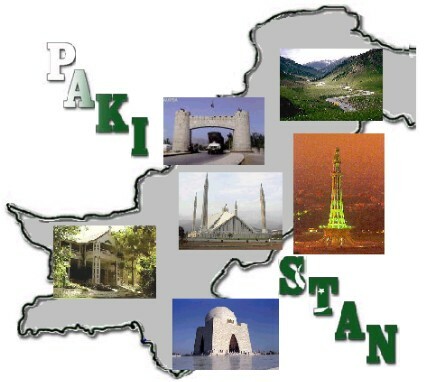 Pakistan, when it appeared on the world map was referred to by the Muslims of India as the “Land of Dreams”—not just because of the ideology behind its creation, nor by the method of its creation, both of which were unique in world history, but also because of the untiring work put out immediately by the masses and the leaders together making the world sit up, especially China, Korea and Singapore who, inspired by the fast “overnight” progress Pakistan was making, decided to follow our footsteps and are now farther ahead of us. The ideology penned down and explained at length by Dr. Allama Iqbal created a wave. This two-nation theory, once accepted by the practical renowned barrister Muhammad Ali Jinnah, was put to effect, and Pakistan was born in the name of religion (Gandhi had tried a truce with Jinnah, agreeing to divide the country as brothers divide property, but not in the name of religion. Jinnah maintained the ideology of Islam and the two-nation theory, refusing Gandhi’s offer), and it was born constitutionally. The people were so excited over the power to make their future, that no one lost time or drive to get down to it. Pakistan made the Muslim world sit up again through its people’s drive, sincerity, talent and growing renown in the field of science, following in the footsteps of many Muslim scholars and doctors that first brought science in an organized manner to that part of the world. Have we forgotten that Pakistan already? Has it been so long since Pakistan last made an impression? Have we forgotten that not less than 20 years ago royal families from around the world, especially the Arab and African world sent their sons to study in our schools and colleges and universities? Have forgotten the massive immigration to this “Land of Hope” from all over Asia whenever people wanted to live in peace and prosperity? Pakistan was called the “Country of Doctors and Engineers” in the West and when there was an educational boom in African countries, amongst the most wanted and accepted educationists were those from Pakistan. Even today most of the engineers in America and Europe, securing good positions in their jobs are from Pakistan, and even today most of the competent doctors we find in the West are from Pakistan—difference is, today nobody seems to note that fact. Nobody seems to count it anymore. In the late sixties, especially in 1969, articles were written on the youth of Britain referring them to be probably the best generation yet, where strings of charity and community works were detailed and even there Pakistani youths were mentioned amongst the immigrants that added to community work, for example the Pakistani boys in Southall, Middlesex, going shopping for elderly people, and in the process learning colloquial English. What happened then? Where did all the disillusionment begin? Why did all this positive images of Pakistan suddenly allow itself to flicker and burn out? Why did the education system fail us not more than ten years ago? We know that even today our education quality is higher compared to the quality abroad—then why do we choose to go abroad for education? Because we have lost the standard, not the quality, of educational system. The system has broken the backbone of our educational sectors. We have fake degrees allotted, we have references, and we have papers switched. Nothing is wrong with the actual standard of our education even now—but then again, what good is quality education when we cannot benefit from it? Schooling till Matric level is compulsory and reportedly free—but nobody avails himself of the government schools because there are no teachers, and despite the fact that it is claimed free, it is not: payment of books, of a lot of miscellaneous stuff add up to a normal tuition fee anyway. Only the colleges and professional universities are managing to maintain their merit—then again, the system has penetrated them so it doesn’t matter either way. What went wrong was the generations before us, especially the previous two, lost the meaning of Pakistan. They indulged in materialism, selfishness and corruption. They were greedy children who ate everything that was cooked, and plucked the unripe ventures. The youth today is no less than the generation that made Pakistan. This present generation has been given nothing to run. It has to build; it has to start from scratch. The problem is this generation isn’t given the tools or the chance to start anything. If given even the slightest chance, the youth of today is capable and has the loyalty and the drive to reach Pakistan to its heights with the same overnight progress that was made by the creators of Pakistan. This generation needs to remember the glory days of Pakistan and to gain confidence in itself rather than sit glumly and state, “What can we do”. A nation of 160 million cannot do anything? That is not possible. Our ancestors made their chance to make Pakistan; they were not given any chance. Our youth needs to pick itself up and march forward, remove all the dead wood (the old generation that still sits in power even after corrupting the very soil of our country) and begin afresh. To quote Adlai Stevenson, “Those who corrupt the public mind are just as evil as those who steal from the public purse.” And to further quote a solution, “To fulfil a dream, to be allowed to sweat over lonely labour, to be given a chance to create, is the meat and potatoes of life. The money is the gravy” (Bette Davis). Everything will be rendered useless without honesty. Our country, our individuals are corrupted to the core so that lying is as breathing: we must search our souls and bring back our lost integrity through honesty: the first and foremost rule in Islam. A country that produced success stories in its diaspora all over the world in such a short space of time is a country worth working hard for, worth looking into. It is a promising country with a promising past and an equally promising future, if only we take the step. We haven’t lost anything yet. We can relive the glory of our small but so rich country. We ourselves are enough to turn things around. We don’t need help from anyone. In order to get things done properly, one must do them oneself. Dependency results in and breeds despondency, as we have experienced these past years. We only need confidence and unity. We are already patriots, of that there is no doubt. We are united in our hearts, but we lack the confidence of success, but without toil how can one know? It is better to try rather than to wonder for the rest of our lives how things could or would be had we taken action. It’s only been 60 years, and this is a small length of time for the country is still young and all the mistakes have been made, so there is no more mistake left to make—that is an encouraging factor. Pakistan can still shine again as it did, in education, in sports, in talent, in technology and in every other profession imaginable. We were a nation that inspired, what’s to stop us from inspiring again? It is just a matter of cause and effect as it has always been.